WEST LAFAYETTE, Ind. - A new Purdue University research center focusing on complex issues underlying the quantification, extraction, representation, communication and use of information in diverse application domains will become a core center at Discovery Park. The Purdue Center for the Science of Information (PCSoI), with its broad and multidisciplinary research agenda, spans scientific, engineering, social and economic systems. It addresses problems such as structure and function of biomolecules, emergent properties of biological systems, communication systems, sensor networks and cyber-physical systems, challenges in massive datasets, and networks of social and economic transactions. 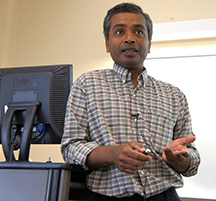 Led by computer science professors Wojciech Szpankowski (pronounced "Voi-check Shpan-cow-vski"), and Ananth Grama, its core mission is to advance science and technology through new paradigms in the quantitative understanding of the representation, communication and processing of information in biological, physical, social and engineering systems. "The potential to broaden the impact of the Center for the Science of Information by joining the collaborative interdisciplinary environment at Discovery Park would add tremendous value to the Purdue research community and in the advancement of knowledge in the area of information science," said Alan Rebar, executive director for Discovery Park and senior associate vice president for research at Purdue. In 2009, a similar Purdue project led by Szpankowski was funded as a Science and Technology Center by the National Science Foundation through a $25 million, five-year grant. The Purdue initiative was among five new NSF Science and Technology centers chosen from a program supporting integrative partnerships that require large-scale, long-term funding to produce research and education of the highest quality. Building on the success of this NSF center and its external partners, the new Discovery Park center aims to initiate and grow research communities within Purdue in innovative new scientific enterprises. The center has been successful in securing significant external funding, primarily through the NSF Science and Technology Center grant and a number of other grants and partners. 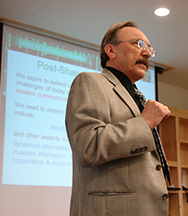 "The Purdue Center for the Science of Information offers a unique approach to solve science and engineering problems, an approach critical to continued advances in understanding complex systems such as biological systems, massive data search and retrieval, social and communications networks and chemical structures," said Szpankowski, Purdue's Saul Rosen Professor of Computer Science who leads the PCSoI project. 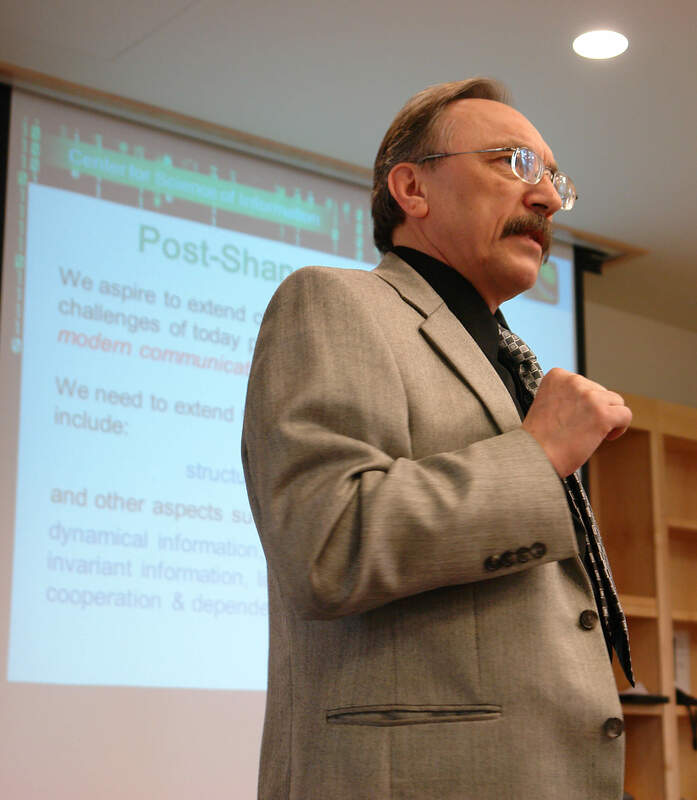 Szpankowski said the center is focused on basic principles and analytical methods, as manifested in classical information theory, which paved the way for the internet, DVDs and iPods of today, to meet the new challenges posed by the rapid advances in networking, biology and quantum information processing. Established by Claude Shannon in 1948, information theory establishes the limits of compressing, reliably storing and communicating data. It led to efficient codes and the ability to transmit information electronically. Shannon's theory needs to be extended to take into account the influence of space, time, structure, semantics and context on information, Szpankowski said. 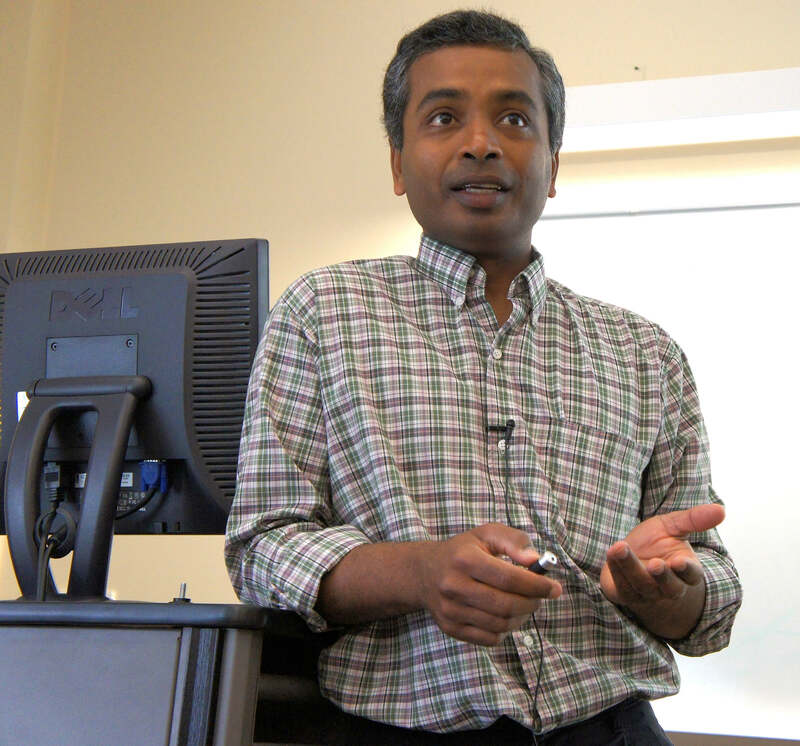 Purdue researchers also work closely with industry to develop long-term technological solutions and tools to assist in analysis and modeling for the life sciences, communications, financial transactions and patterns of consumer behavior, he said. The Purdue center is creating a Science of Information hub to allow the research team to collaborate and easily share information, while serving as a resource for industrial partners, students and the broader community. It is also working toward a graduate-level specialization program in information sciences with courses for various disciplines as well as a flexible doctoral program focused on the Science of Information. In addition, the PCSoI team is establishing an undergraduate program in the science of information, where students from various disciplines can interact with top faculty from the partner universities as well as leading private sector scientists. PCSoI researchers have partnered with Bryn Mawr College; Howard University; Massachusetts Institute of Technology; Princeton University; Stanford University; Texas A&M, University of California, Berkeley; University of California, San Diego; University of Hawaii at Manoa; and University of Illinois at Urbana-Champaign.